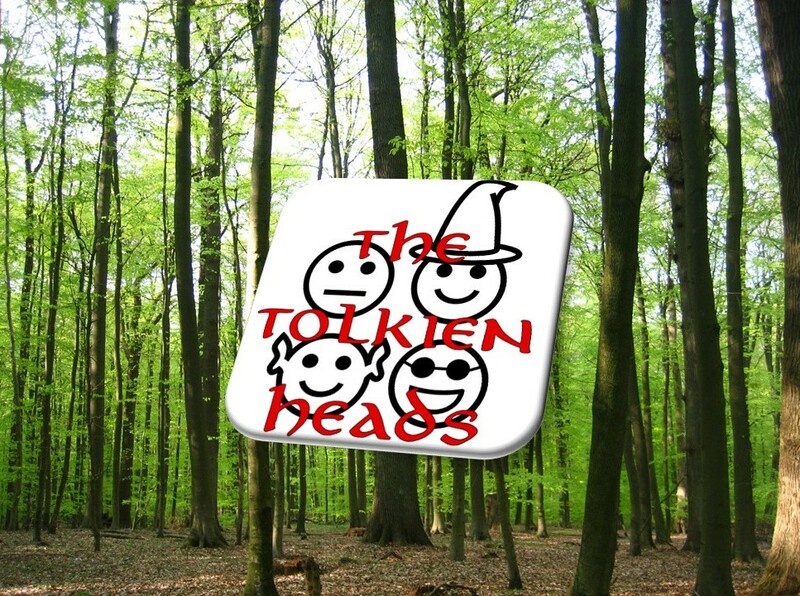 The Tolkien Heads podcast was conceived as a way for the four hosts—as well as a number of enthusiastic guests—to approach J. R. R. Tolkien’s The Lord of the Rings from a variety of perspectives. Our mission is to arrive at a deeper understanding of the text and its application to everyday life through various analytical approaches and close reading. For inspiration, we owe a particular debt of gratitude to the extremely successful Harry Potter and the Sacred Text podcast, which (as the name suggests) treats the eponymous series as though it had spiritual authority. We seek to apply a similar methodology to Tolkien’s work. For convenience, the hosts have decided to work with a common edition of the text. In case you would like to keep up with the page numbers that we sparingly but inevitably refer to, we use Houghton Mifflin Harcourt’s The Lord of the Rings Deluxe Edition (2013), which contains Fellowship, Two Towers, Return of the King, and all of those sweet, sweet Appendices. Richard Hronek was born in Indiana but had his formative years in North Carolina. He was woefully unaware of The Lord of the Rings before the films came out, but probably wouldn’t have read it anyways having had a narcoleptic reaction to most reading before the age of 19. He finally read LOTR while studying abroad at age 22 and promptly had the inscription of the Ring tattooed on his ankle. With stints as a barista, chemistry student, and professional brewer, he is currently a Ph.D. student at the UW-Madison studying German literature. Christopher Stohs grew up near Kansas City. By the light of his flashlight, he read The Lord of the Rings at summer camp before bed on several occasions. After many wanderings, he found himself at the University of Wisconsin-Madison, where he now works towards his doctorate in German. He is glad to be reading The Lord of the Rings in summer again. Nathan Germain grew up in northern Wisconsin, and has been an avid reader for as long as he remembers. He first encountered Tolkien’s world in The Hobbit at age 10, and read The Lord of the Rings for the first time the following year. Though he undoubtedly passed over much of the work’s subtlety, the depth of Tolkien’s invented world instantly fascinated him. Since then, he has regularly returned to Middle-earth, reading LOTR at least ten times, and discovering amazing new things with each reading. Today, he is a Ph.D. student in French literature at UW-Madison, where he studies representations of landscape in literature and geography from the 19th century. He is thrilled to return to Middle-earth once again with The Tolkien Heads, and is looking forward to rereading the work among a Fellowship of friends. Matthew Boutilier spent most of his childhood in New Jersey and Pennsylvania, but has repeatedly been told that the 13 years he has now spent in the Midwest have eradicated whatever East Coast character he may ever have had. At an age when he was far more interested in Harry Potter and Redwall, he took it upon himself to read LOTR upon the release of the first movie. What interested him most were Tolkien’s invented languages, and Matt quickly began creating his own languages (with varying degrees of success), a hobby he continues today. Matt enjoys long walks at night, coffee, and dead languages. He is pursuing a Ph.D. in Germanic historical linguistics at UW-Madison.